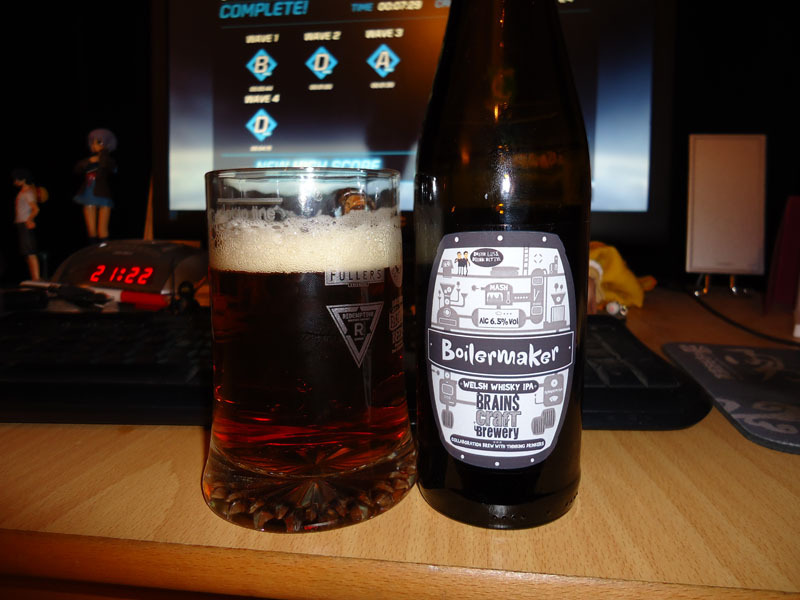 After a few gaming entries, its back to the beer! 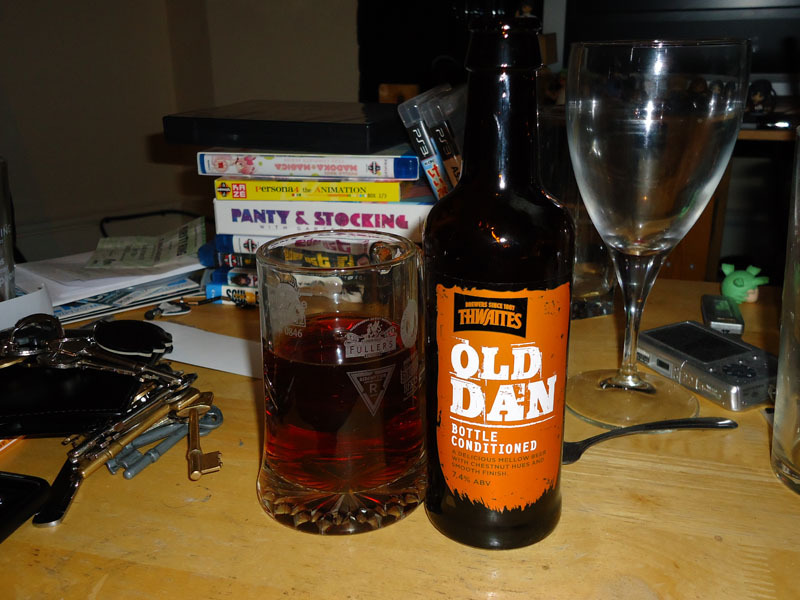 First up is Old Dan Described on the bottle as “mellow with chestnut hues and smooth finish” and stands a a fairly high 7.4%. Personally I didn’t taste chestnut, but as previous posts like this show, I don’t have a great knack for noticing flavours. There is a slight twang to the after taste but nothing unpleasent. As for the smooth finish, its not in the same vein as something like Caffereys. Nothing special but by no means bad. A Welsh Whiskey IPA from Brains. I got this for two reasons, first, its a Whiskey IPA and second, the company is called Brains (yes, my brain is still that childish). I’ve had Brain’s ale before visiting a friend in Cardiff but I still find the name amusing. At the Olympia Beer Festival I had a beer that had been brewed in whiskey barrels, this one has been brewed with whiskey infused oak chips. There is a hint of whiskey in the after taste which I rather enjoyed. The inital taste is slightly tart but I found this dissapeared over time. As the glass slowly emptied, it became smoother and smoother, clearly a force not to be underestimated. This was easily my favourite of the ones in this post. 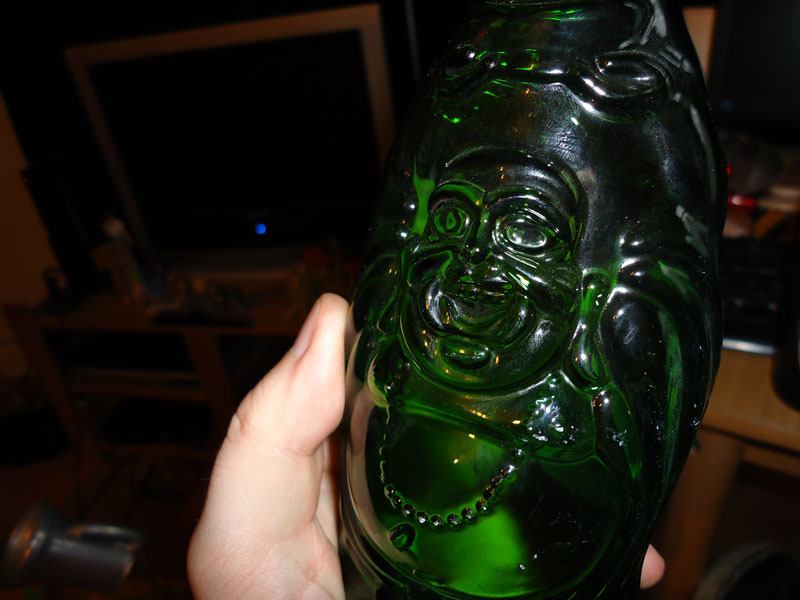 As can be seen, the bottle is freaking sweet (sadly it doesnt come out great in the photos). 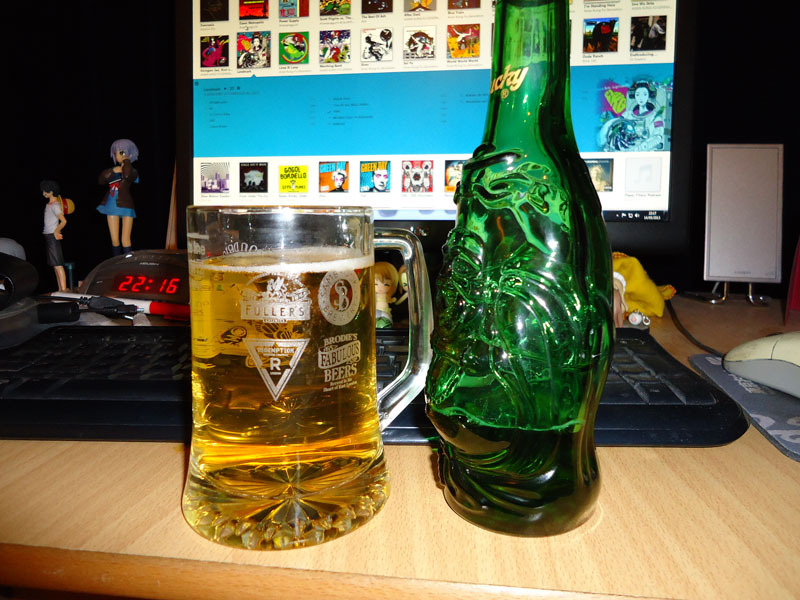 Its a lager from Qiandaohu, China. Sadly, the contents is far less impressive. A little bit on the sour side with a taste I cant quite place. It does taste very similar to some of the beers I have had in Korean restaurants. Not something to go out of your way for.